Looking at an old photograph of Sebastia from the beginning of the 20th century it is hard to believe that, among the houses of this small village, an archaeological heritage of inestimable value is hidden. 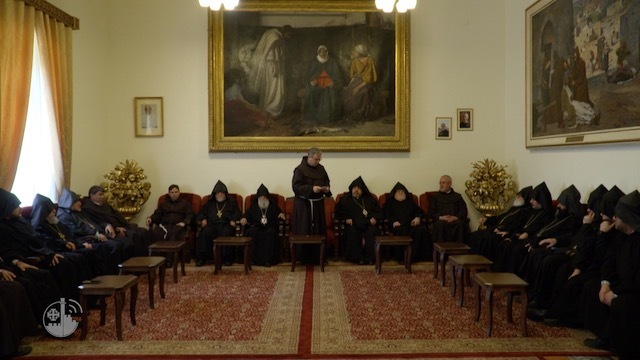 In the area surrounding the great Crusader cathedral dedicated to St. John the Baptist, second in size only to the Holy Sepulcher of Jerusalem, buildings from the Crusader period, Mammelucco, and Ottoman were again brought to light thanks to a restoration and conservation project that goes on from over 15 years and that has seen and still sees the contribution of Italian Cooperation and international foundations. From the renovation works, started in 2005 with funds from the Italian cooperation, in the city center a twelfth century chapel, even older than the adjacent cathedral, and a room part of the fortress were rediscovered. These two buildings have been used as museum and exhibition space and, together with a guesthouse built from ancient surrounding houses, have been managed for years by the Mosaic Center. In 2013 the management of the guesthouse was taken over by the local municipality, which however could not manage it with the same success. For this reason the municipality has decided to entrust the entire complex again in the hands of the Mosaic Center. 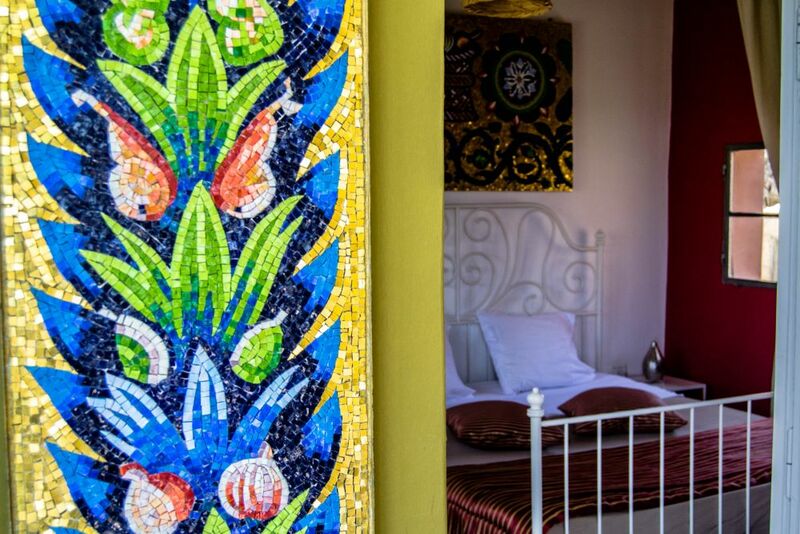 The guesthouse, after some maintenance work, will become part of the activities of the “Mosaic guesthouse” project launched by the Mosaic Center in collaboration with the Association pro Terra Sancta a Sebastia and Nisf Jubeil. 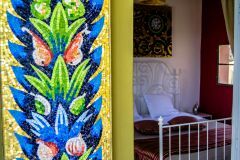 Sleeping in these structures, in fact, does not only mean staying in old buildings of artistic value, but also making a 360-degree experience of Palestinian culture and tradition. Coming to Sebastia means experiencing a new and different form of tourism, far from the classic tourist packages and standardized pilgrimages, it means implementing responsible tourism based on the principles of social and economic justice and in full respect of the environment and cultures. Association pro Terra Sancta strongly believes in tourism that puts the local host community at the center trying to give job opportunities to young people like Shadi, Rami and the newly hired Mohammad who would have no other employment opportunities in such a problematic social context. “The new guesthouse was officially reopened on March 23 and guests are already expected on the 26th” Mohammad tells us with enthusiasm ready to start this new challenge “As in all the other guesthouses of the Mosaic Center, we will serve typical Palestinian breakfast and many dishes made in home”. The guesthouse is composed of two double rooms, the red and the blue, named for the colors of the paintings on the walls, a triple called the “canal room” and a larger “the crusader room” ready to accommodate four people, new spaces that will allow to satisfy more requests. “In one year we had over 1000 guests, a great result for us here in Sebastia,” says Shadi satisfied.